Charles Vernon Oldfield Bartlett (1894-1983) was a British broadcaster and politician, who served as an Independent MP in the House of Commons from 1938 to 1950. John Clute, in the Encyclopedia of Science Fiction, characterises him as being “severely disillusioned by his World War One experiences”. He wrote in Methuen’s If I Were Dictator series (as did Lord Dunsany). His sf novel Tomorrow Always Comes (1943) imagines the problems of reconstructing Germany after the Second World War. Bartlett was the son of a bank manager in Swanage and was educated at Blundell’s School at Tiverton before he was attacked by psoriasis. I left school at the early age of sixteen, and thus lost most of the benefits my parents had hoped to gain for me by sending me at immense sacrifice on their part to one of those absurdly private institutions known to the British as a ‘public school’. At seventeen I went abroad to learn languages in the vague belief that I might one day be a consul and make an honourable career by bailing drunken British sailors of of gaol (TIML, 21). He went to Germany, to Italy, to Paris and Madrid. When he returned, his father found him a job in the city, looking after the firm’s foreign correspondence. “I went there one morning, was mercilessly snubbed, hated the place and never went back again” (TIML 27); instead he found himself a job teaching English in Berlin. I was sacked when the little French director came suddenly into a room while I was giving a private lesson to a very large blonde woman and found her sitting on my lap. How she got there I don’t know, but I can hardly believe I took the initiative (TIML 31). He was hoping to stay in Germany, but when he came back to England to tell his father what he was going to do, war had been declared. He was invalided out of the army after war experiences that gave him a firm conviction that Europe should avoid all future wars. He became a journalist, working for the Daily Mail and then for Reuters. In 1917 he married a Belgian refugee; they had two sons. He covered the Paris peace conference for Reuters, and afterwards became a foreign correspondent for the Times, working in Geneva, Berlin and elsewhere. In 1920 he witnessed a papal election in Rome; later that year he covered the Kapp Putsch in Germany. It was his first time in Germany since 1914. The porter who carried my suitcase [in Munich] had two hooks instead of hands. Very diffidently, I asked if he had been wounded in the war, and he explained that he had been blown up by the British on Hill 60. I was thankful he guessed from my accent that I was a Dutchman, for I gathered that he had been on that hill of evil memory at the very time when I was in the opposite trenches. But for some reason I had to produce my passport and his delight knew no bounds. Had he not been a prisoner of war near Hull? Had he not been taught a few words of English by a friendly sentry? Had he not one ambition—to get back to England? He went off to tell his friends that I was an Englishman, and I had an almost triumphant send-off into the mysterious interior. People tell me that I exaggerate the friendly pacifism of the Germans shortly after the war. It would be difficult to do so. […] On no occasion did a single individual show the slightest resentment against the country which had contributed so large a part in defeating his own and in imposing peace terms and a post-armistice blockade which had simultaneously destroyed so much health and hope (TIML 87). He left his Times job in Rome a few days after Mussolini became Premier. And while I wondered what to do I received a telegram telling me that the directorship of the London Office of the League [of Nations] Secretariat was vacant. It was filled by me not because of my merits but because it was thought that I should have a favourable influence with The Times when League news was sent out to the British Press (TIML 126). He was director of the London office of the League of Nations from 1922 to 1932. He wrote a number of novels; and the novelisation of R.C. Sherriff’s play Journey’s End (the classic British play about the First World War) was published in 1930 as “by R.C. Sherriff and Vernon Bartlett”. 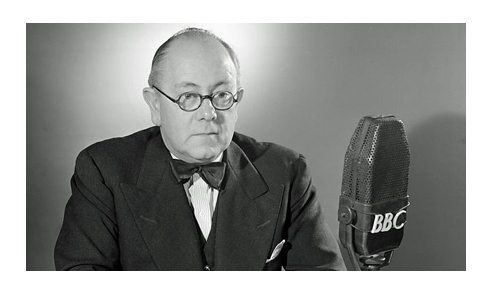 He was one of the first broadcasters for the BBC, talking first about the League, and later having a weekly series about international affairs: “The Way of the World”. He became a full-time member of staff shortly after leaving the League of Nations. Sir John Reith invited him personally: “like a fool I agreed” (IKWIL, 76). In 1933 Germany left the League of Nations, and Bartlett commented on air that in similar circumstances Britain would have walked out too. There was such a storm of protest from politicians that he was forced to resign from the BBC. He took a job with the News Chronicle, for whom he worked for twenty years. It was as a broadcaster that I discovered one of the beastliest and least explicable actions of a section of my fellow-men; I came across far more examples of it when I became involved in national politics as a Member of Parliament. I occasionally received—generally in a good quality envelope addressed in cultured handwriting—a used sheet of toilet-paper. Since one of the things I most liked was to be liked, this evidence that some unknown person went to do undignified an expedient to tell me I was disliked would depress me for days, whereas an open and aggressive declaration of disagreement would stimulate me to before involved in argument, ending quite often in friendship (IKWIL, 69). During the Second World War, Bartlett returned to broadcasting. He was known in particular for his Postscripts, broadcast after the 9 o’clock home news. He retired from the News Chronicle in 1954 and worked as a journalist in Singapore before moving to Tuscany in 1961 to produce wine and books. His wife died in 1966, and in 1969 he married again; he died in Somerset in January 1983. My information comes from Leonard Miall’s revised entry in the Oxford Dictionary of National Biography, supplemented by Vernon Bartlett’s This is My Life (London: Evergreen Books, 1941) and I Know What I Liked (London: Chatto & Windus. 1974) (abbreviated TIML and IKWIL).